Find out if your child’s school or childcare has a policy or guidelines for managing food allergies. Some may have this in place. Others may lack a clear policy if they have not had children with food allergies before, so you may even have an opportunity to get involved with the policy development. In any case, you should set up a meeting with the principal or childcare director to discuss your child’s needs. Your child’s Anaphylaxis Emergency Plan. Complete this each year or whenever there are any changes such as the addition of new food allergies, the removal of allergies that are outgrown or changes to treatment instructions. Permission to treat your child according to their physician’s instructions if they have an allergic reaction. The emergency plan should include information about your child such as her allergies, what to do in the event of a reaction and emergency contact information. Take your child to meet their teacher and see their classroom ahead of time. This will help your child become comfortable in these new settings. Consider asking if classmates and childcare friends can be taught about food allergies. This can be done by having a teacher or school nurse read children’s book about food allergies. This 4 ½ minute slide show teaches elementary school age children without food allergies why kids with food allergies need to do things a bit differently. It is designed to increase understanding, encourage children to support their classmates, and discourage bullying. 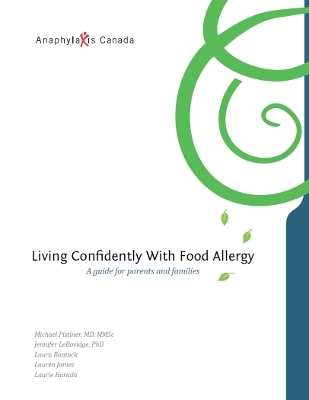 This resource can be used by school nurses and teachers in the classroom as well as a tool to introduce families in the school community to the basic concepts of food allergies. This coloring page from Everday Cool with Food Allergies is designed to teach pre-school and early school-aged children basic age-appropriate food allergy management skills such as eating safe foods, handwashing, no sharing, alerting grownups, expressing feelings, etc. 22. McIntyre, C.L., Sheetz, A.H., Carroll, C.R. and Young, M.C. “Administration of epinephrine for life-threatening allergic reactions in school settings.” Pediatrics 116.5 (2005): 1134-1140. 23. Sicherer, S., Furlong, T.J., DeSimone, J., and Sampson, H.A. “The US Peanut and Tree Nut Allergy Registry: Characteristics of reactions in schools and daycare.” Pediatrics 38 (2001): 560-565.